K. Srinath Reddy, president of the Public Health Foundation of India, will give a free public talk titled “Universal Health Coverage in an Emerging Economy: Will India Accomplish Its Goal?” as the 2012 Sheth Lecturer in Indian Studies at 5 p.m. Sunday, Feb. 12 at Emory University School of Law’s Tull Auditorium, 1301 Clifton Rd. 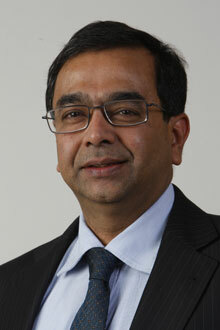 Reddy will discuss efforts toward health policy reform within India’s current framework of economic growth. The event is cosponsored by The Halle Institute for Global Learning, Emory Global Health Institute, and Rollins School of Public Health. Prior to his tenure at PHFI, Reddy headed the Department of Cardiology at All India Institute of Medical Sciences (AIIMS). He is Bernard Lown Visiting Professor of Cardiovascular Health at the Harvard School of Public Health and teaches at Emory’s Rollins School of Public Health. Reddy has served on many World Health Organization expert panels and chairs the Foundations Advisory Board of the World Heart Federation. He also chairs the Core Advisory Group on Health and Human Rights for the National Human Rights Commission of India and the High Level Expert Group on Universal Health Coverage set up by the Planning Commission of India. He is a member of World Economic Forum’s Global Health Board. Established in 2000, the annual Sheth Lecture in Indian Studies is made possible by the support of the Sheth Family Foundation, which is dedicated to raising awareness of the culture and history of India and South Asia and to serving the Indian community in Atlanta and the Southeast. Past speakers include such distinguished guests as famed author and Emory University Distinguished Professor Salman Rushdie, acclaimed film director Deepa Mehta and prominent environmental human rights activist Medha Patkar, among others.